Top 5 Equity ETFs to Consider for Your RRSP Contribution - Inukshuk Capital Management Inc.
Retail savers have until March 1, 2017 to contribute to their Registered Retirement Savings Plan (RRSP). This year, the contribution limit increased to $25,370 from $24,930, but the 18% threshold remained the same. 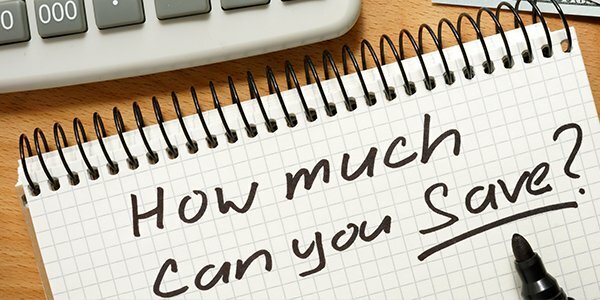 Essentially, this means you can invest 18% of your taxable income or up to $24,930, whichever is lower, and deducting your income by that amount. A good alternative for savers is to invest in equity ETFs because of the lower relative costs, potential for high returns, and dispersed risk. Even in the ETF space, some products may be highly priced and not liquid enough. 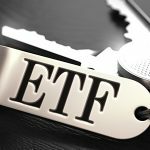 It is worth noting that Canadian investors are allowed to invest in any ETF in their RRSP as long as it trades on a designated exchange. Inukshuk Capital Management invests exclusively in highly liquid, low cost ETFs, with good risk-adjusted returns, which allows us to charge considerably lower fees than the average external manager. Data from Morningstar as of January 10. U.S. financial services companies have been hot lately thanks to a promise by President-elect Donald Trump to get rid of red tape and higher interest expectations. BMO Equal Weight US Banks (ZUB.TO) has risen as much as 25% since Trump won the election on November 9. The ETF is hedged against exchange rate fluctuations, but for investors willing to also take the foreign exchange risk, BMO Equal Weight US Banks ETF (ZBK.TO) is the way to go. The Canadian economy has been hit by falling commodity prices, and the loonie depreciated considerably against the dollar over the past five years. The monetary policy divergence between the two countries could depreciate the Canadian dollar further, making an unhedged alternative even more attractive. Gold producers have underperformed over the past few years, as gold retreated from the record highs reached in the aftermath of the global financial crisis. However, recent developments have shown that the selloff may be overdone and the shiny commodity may have reached its nadir. The reason for such a belief is that despite a broad market rally and higher bond yields in the U.S., gold stood its ground. BMO S&P/TSX Equal Weight Global Gold Index (ZGD.TO), an ETF containing established global gold producers, could be a good long-term play on gold. The ETF has risen nearly 11% in the trailing 30-day period, as of January 10. Infrastructure in the U.S. and in other developed countries needs to be rebuilt. In the U.S., President-elect Trump promised to launch a $1 trillion infrastructure investment, although the market has so far been skeptical about the plan’s feasibility. Still, BMO Global Infrastructure Index ETF (ZGI.TO), a low-cost highly-liquid ETF containing the world’s infrastructure heavyweights, could be a good addition to a low volatility strategy. BMO Global Infrastructure has slowly edged up 130% over the past five years. Investors looking for ultra-low cost ETFs should take a look at Horizons S&P 500 Index. As its name suggests, this ETF tracks the S&P 500 index, and has an expense ratio of 0.17%. The S&P 500 has reached record highs following the election of Trump, and may continue rising if he delivers the fiscal stimulus package and the tax cuts promised. BMO Canadian Dividend (ZDV.TO) is a great play for investors looking to build long-term wealth through dividends. The ETF is highly liquid, has a very low cost, and yields an annual dividend of around 4.5%. About 65% of the fund’s holdings are in financial services, energy and utilities, making it attractive in a rising interest rate environment and recovering energy prices.